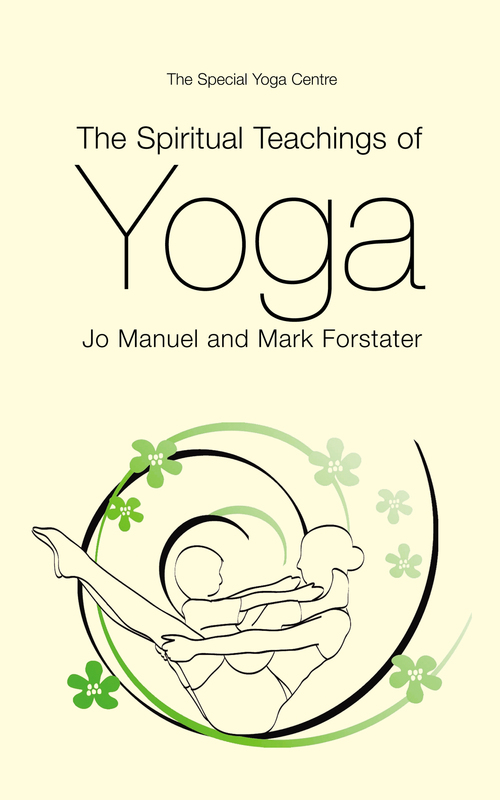 I finally managed to produce my first e-book, The Spiritual Teachings of Yoga , which I wrote with my former wife Jo Manuel in 2002. The book has sold consistently in print, and in the past few years has become a resource for yoga teachers in training. Many yoga courses include some philosophy into the mix, so that the root of yoga is not forgotten. Yoga philosophy is difficult to penetrate, and if it’s not taught well can be very confusing and off-putting. Jo and I wanted to write a book that presented the philosophy in as clear and accessible a way as we could, without simplifying it or dumbing it down. This collaboration seemed to work. I wrote the exposition of the book (with input from Jo) and she tackled the writing of the 3 classic Yoga texts (with some editing from me). I had a 4 book deal with Hodder and it was at Jo’s suggestion that I proposed the yoga book. Unfortunately I had always had a difficult time getting into Indian philosophy texts, although I felt very at home with Chinese ones. What held me back was both the strangeness of some of the ideas and the Sanskrit in which these ideas were expressed. Some Sanskrit words- like yoga and karma – are quite well know, but nama and niyama for example have less profile. Jo thought that having to study these yoga texts would force me to persevere and get a handle on them. Once I understood them I could communicate that understanding to others in a language they could appreciate. So when wannabe teachers have to read the Bhagavad Gita, or the Yoga Sutras, or the Upanishads, they can turn first to the chapters in our book that give them background and explanation. After this, it’s easier for them to gain entry to the texts themselves, and hopefully to understand what they are saying. The book also has some really fascinating material on the history of yoga. I know an author shouldn’t be saying his work is fascinating, but when I was making the e-version I had to revisit the book, and it just struck me that there are some very rare sections of interesting material. This was the result of my months of preparation and reading. There is a mountain to read in yoga, but my guiding principle in writing was that I needed to research until I became expert enough to convey the ideas in an interesting way. I wanted to be able to see the field and the trees at the same time. Many experts who know far more than me have perhaps lost site of the field and are only seeing the trees, while those who have not penetrated far enough are only seeing the field and missing the trees. Entry filed under: Uncategorized. Tags: amazon, bhagavad gita, classics, e-book, goodreads, history, Jo Manuel, philosophy. Sanskrit, sutra, The Spiritual Teachings of Yoga, upanishads, yoga. So can I find your book on Amazon? I have a Kindle and love all things yoga! Definitely will seek Amazon. Thanks for writing it. I checked last night and the book is on the Kindle website of Amazon. I’d love to hear what you think about the book. Perfect. I will check it out then.